Activist Trupti Desai who has fought for womens rights to pray in temples in Maharashtra and other places has written to the Kerala Chief Minister Pinarayi Vijayan and the state Director General of Police seeking protection when she visits the hilltop shrine on November 17. “We are writing to demand police protection from the time we enter Kerala to the time we depart from the state. Already we have been receiving threats”, she wrote to the CM adding that they have been warned of dire consequences. The temple temple will be opened for a period of two months from November 16 to January 20 and while the Supreme Court has agreed to look at the review petition on January 22 next year, it has not ordered a stay on its Septemeber 28 verdict that allowed women of all ages to enter the temple. 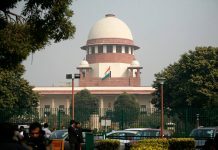 While the Marxist government says it is committed to making all arrangement as the per the SC order, both the Congress and the BJP have demanded that the status quo be maintained until the SC taken decision on the review petition. It is learnt that seven ladies of the ‘Bhoomata Brigade’ including herself will be visiting the temple to offer their prayers to Lord Ayyappa. “For equality, we are definitely going to come there and we will offer prayers on November 17. If the SC has given us the right to pray, who are they (protestors) to stop us? When the bench decides the verdict on the review petitions, they will give it. But right now, the SC has allowed women to enter the temple. They have not stayed the previous verdict,” she said. Stating that it would be contempt of court to not follow the SC’s orders, Trupti added that she fully trusted the Kerala government to provide them with protection, and noted it is the government’s responsibility to do. She has also written to the Kerala Chief Minister Pinarayi Vijayan seeking protection during the group’s visit. Speaking to media, State Congress chief Ramesh Chennithala said “Even if there is no stay, the government should stop being stubborn by bringing women to Sabarimala. The Constitutional Bench has said they will hear the review petitions. This is good news. In the upcoming season, there should be no conflict situation and we hope the government will take a decision accordingly. Even if there is no stay, the fact that they have decided to review the judgement is important. 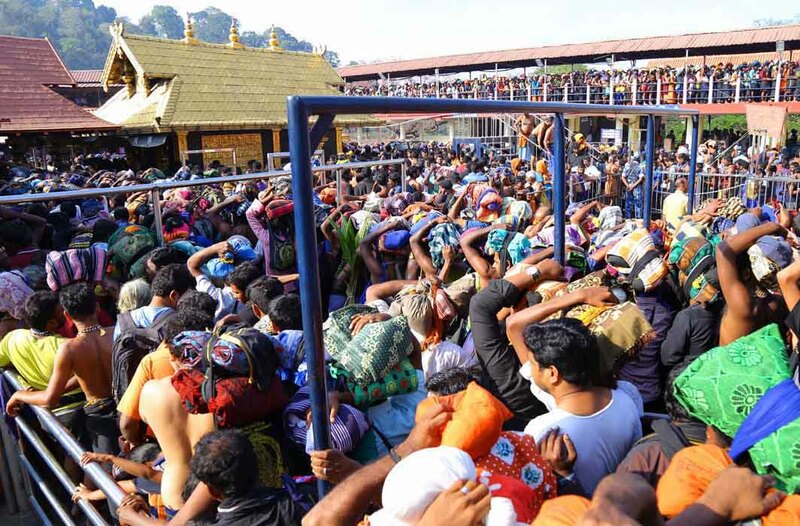 The Kerala government has decided to hold an all-party meeting on Thursday, to discuss further course of action on the entry of women into the temple during the season that opens on Friday.